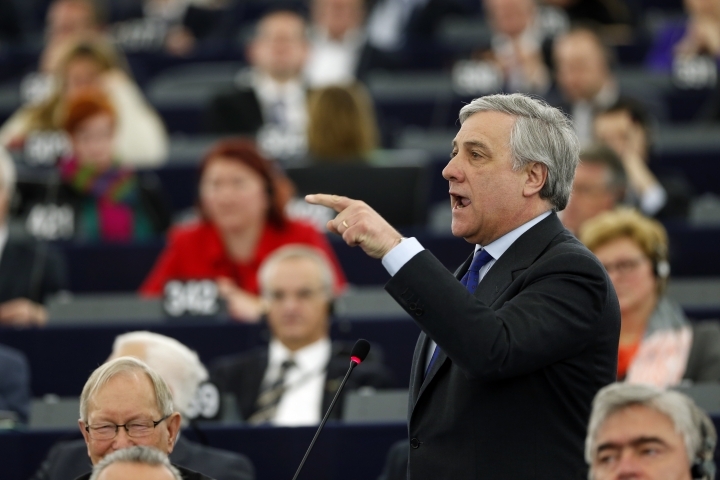 BRUSSELS — Antonio Tajani of the EPP Christian Democrat group was elected president of the European Parliament on Tuesday in a daylong polling series during which he defeated his socialist opponent. Before the first round of voting, the EPP, the largest group in the European Union's legislature, and the ALDE liberals, the fourth-largest, announced a coalition that gave Tajani a big early lead over S&D socialist Gianni Pittella. He maintained the lead through four rounds of voting at the legislature in Strasbourg, France. The battle among the two Italians was won by Tajani on a vote of 351-282 in the decisive final round, which only the top two candidates could enter. Tajani's victory gives the Christian Democrat group all the biggest jobs in the EU, with Donald Tusk as Council President and Jean-Claude Juncker as Commission chief. Tajani, an ally of former Italian Prime Minister Silvio Berlusconi, devoted his victory to the victims of August's earthquake in Italy and to all victims of terror. "We must devote our attention to all those who are in tough living conditions," he said during a short acceptance speech. To make the coalition with the EPP work, ALDE leader Guy Verhofstadt withdrew from the election among the European Parliament's 751 legislators. "Today, the political landscape in the European Parliament is dramatically changed with the birth of a new conservative block. We will constructively oppose this block," Pittella said. Tajani will head the parliament for the next 2 ½ years. The election followed the decision by S&D leader Martin Schulz not to seek a new term. 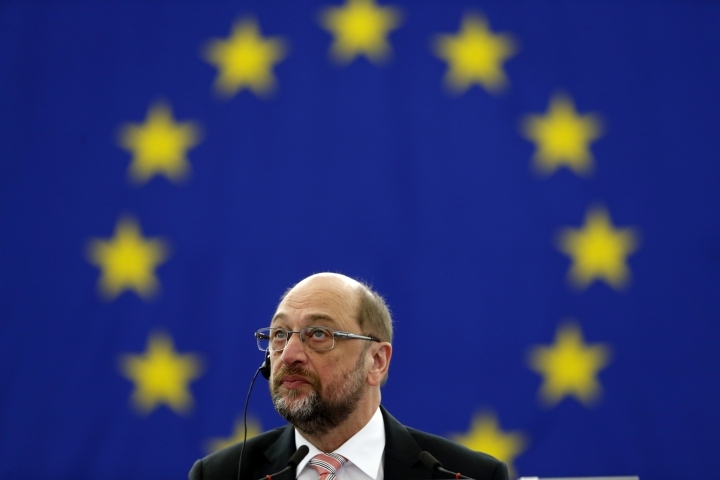 Schulz is heading into national politics in Germany ahead of September elections. The parliament president chairs the plenary sessions of the legislature and is the face of the parliament in the EU and on the international stage. Under the charismatic Schulz, the post's standing increased. With more legislative clout, the parliament has an ever bigger impact on EU decision-making. For example, any Brexit deal will have to be approved by parliament on top of getting the blessing of the member states.